Our personal injury lawyers are currently accepting lawsuits filed by plaintiffs who have been harmed by defective hoverboards. Many of these lithium-ion battery-powered devices have been recalled after they exploded or caught on fire, causing damage to people and their properties. Hoverboards are usually powered by small rechargeable lithium-ion batteries since they can ideally provide a lot of power while keeping the overall design sleek and compact. However, their cells are packed with many flammable chemicals that can easily catch on fire or cause sparks when overcharged or overheated. Most of the motorized self-balancing scooters are made of relatively fragile plastic materials, and if the battery is cheaply made, it may cause an explosion, leading to serious personal injuries. After investigating several reports of hoverboard fires, the Consumer Product Safety Commission recalled at least 500,000 devices. Consumers have been warned to immediately stop using these scooters and to get them replaced by their respective brands. Because of their risk of smoking, exploding and fire hazard, many airlines have banned these products during national and international flights. In 2015, Micheal Brown, a plaintiff from New York, filed a class action suit after his Swagway hoverboard burned his house after bursting into flames. Some days after his children started using their new toy, they had to charge its batteries. Just a few minutes later, the scooter exploded igniting nearby packaging materials and causing substantial damage to his property. The man is now seeking financial compensation in court. Our law firm is currently filing individual lawsuits rather than class action ones, though. We believe that each case is different and unique, and needs to be handled accordingly. This way we will also grant you a much higher reward if your case is successful in court since you will be compensated for your specific pain, suffering, lost wages and medical bills. In March 2017, an hoverboard manufactured by LayZ caused a tragic accident which led to the death of two kids in Harrisburg. The scooter was left charging near the front door of the house when it suddenly exploded causing flames to burn down the family’s $1 million mansion. The owner’s two daughters, Ashanti Hughes, 2, and Savannah Dominick, 10, tragically died in the fire, and the firefighter Lt. Dennis DeVoe suffered severe injuries as he responded to the emergency. According to the investigation, many of the LayZ boards are imported from China to the United States and are made of cheap and poorly tested materials. On January 2016, following a similar accident that burned down their homes, Megan Fox from Nashville, Tennessee, has filed a lawsuit against the manufacturers and distributors of a FITBURO® F1 scooter. The woman is seeking over $30 million in compensation arguing that the product she bought was a counterfeit Chinese product of substandard quality, and that the companies failed to warn consumers about the alleged dangers. 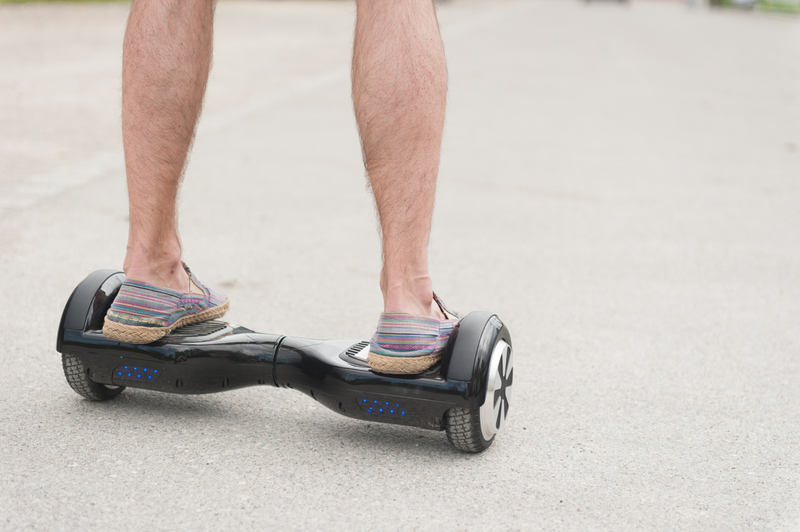 How Can You File a Hoverboard Lawsuit? Our team of skilled attorneys has more than 30 years of experience and all the resources to help you file a successful hoverboard injury litigation. If you or a loved one have been injured or suffered a loss as a result of a scooter-related accident, explosion or fire you might be eligible for compensation. Depending on the circumstances, you can sue the manufacturers to receive a reward ranging from tens of thousands of dollars up to several million. We will assist you during every step, including investigating your claims, backing them up with all the necessary evidence and assessing the extent of the damage you suffered. Contact us now to receive free legal assistance and a fully confidential consultation.